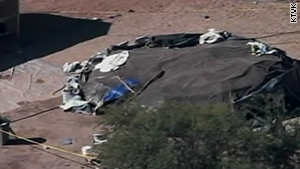 Three people died after participating in the October 8 sweat lodge ceremony near Sedona, Arizona. (CNN) -- The October deaths of three people who participated in a sweat lodge ceremony in Arizona have been ruled accidental, according to autopsy results released Wednesday. Lizbeth Neuman, James Shore and Kirby Brown were among as many as 65 participants at a self-help guru's spiritual retreat near Sedona. As part of the "Spiritual Warrior" program led by best-selling author James Arthur Ray, participants sat for up to two hours inside a dome-like structure called a sweat lodge, which was covered in tarps and blankets, and had hot rocks and water inside to create steam. Autopsy reports from the Yavapai County medical examiner show that shortly after arriving at a hospital on October 8, Shore, 40, and Brown, 38, died of heat stroke brought on by the sauna-like conditions inside the tent. Neuman, 49, died October 17 from multiple-system organ failure as a result of prolonged exposure in the sweat lodge, according to the Coconino County medical examiner. Neuman's autopsy showed she also was suffering from anasarca -- fluid buildup in her tissues -- and jaundice at the time of her death. At least 20 others were sickened during the ceremony. Ray has pleaded not guilty to manslaughter charges in the deaths. His lawyers say he took necessary safety precautions during the program, such as hiring nurses and other medical professionals trained in cardiopulmonary resuscitation to monitor the sweat lodge inside and out.